What do King Kong, Frankenstein's monster, the Iron Giant and Comcast (CMCSK) have in common? They are all misunderstood beasts that wanted to be loved and not hated. It's too late for those other gentle giants that were provoked to the point of destruction, but Comcast thinks it still has a shot at social redemption. 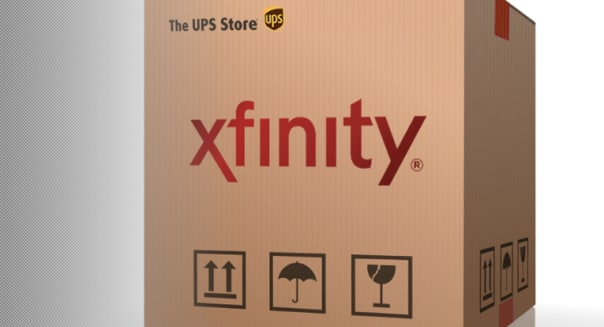 In an interesting and praiseworthy twist, Comcast announced a deal with UPS (UPS) last week, allowing Xfinity customers to return their Comcast cable, Internet, or phone equipment at any of the more than 4,400 UPS Stores. The service is free, and disgruntled customers don't need to worry about boxing up and packaging the rented gear. UPS will take it in, providing customers with tracking information. This is a big deal. Anyone who has ever had to deal with an Xfinity store for returns, swapping defective gear or even paying a monthly bill knows about the dreary experience, which can rival a DMV visit for squandered time. With 26.9 million Xfinity customers and roughly 500 Xfinity branches, the math is cruel. The UPS move is a win-win for customers and Comcast. Departing Xfinity accounts now have a streamlined exit strategy, and Xfinity stores may be less busy in tackling disputes, handling bill payments and swapping out equipment. One can also imagine that this would be good for in-store morale at Xfinity centers. It probably weighs on the psyche employees to see so many people taking time out of their day to cut ties with Comcast. And there's no way that Comcast wants its ongoing customers to be rubbing elbows with the people who are dumping the service. Comcast is in trouble. It's growing in popularity as an Internet service provider, but its customer count for cable television is going the other way. Comcast has posted sequential declines in video customers in 28 of the past 30 quarters. Cheaper alternatives in the form of satellite and broadband television providers have eaten away at the market share of cable TV providers in general and Comcast in particular. Folks are also cutting the cable cord, taking advantage of the growing breadth of streaming video options that are available. Industry tracker SNL Kagan estimates that the number of pay-TV customers declined by 251,000 last year, making it the first year in which more people have canceled their pay-TV service than set it up. The bad news for Comcast is that it had 305,000 in net cancellations among video customers. In other words, the pay-TV industry grew in 2013, excluding Comcast. Comcast's cable television accounts peaked at nearly 25 million in 2007. Now it stands at 22.4 million homes. If the trend continues, it will have more Xfinity Internet customers than cable television subscribers at some point next year. Making it easier to leave Xfinity is risky. The country's largest cable provider has to know that making it more convenient to cut ties will encourage an uptick in cancellations. However, that same change could improve its crummy reputation. Comcast was Consumerist's Most Hated Company in America this year, recapturing a title it originally nabbed in 2010. Between the cable TV bills that perpetually rise and spotty service, it's easy to dislike Comcast. Why should someone have to call not once but twice to be credited when cable or the Internet goes down? The UPS deal won't make all of those problems go away, but even Consumerist went with the headline "Comcast Does Something Not-Awful" in covering last week's move. It's not just customers whom Comcast wants to keep happy. The company is trying to sway regulators to approve its pending merger with Time Warner Cable (TWC). Proving that it's easy to drop the service should help its chances to clear antitrust hurdles. Has Comcast turned the corner? Is this a misunderstood beast trying to prove that it's a gentle giant? We'll see how customer satisfaction, subscriber trends, and the pending merger play out in the coming months as a result of Comcast trying to give customers a break for a change. Motley Fool contributor Rick Munarriz has no position in any stocks mentioned. The Motley Fool recommends United Parcel Service. Try any of our Foolish newsletter services free for 30 days. To read about our favorite high-yielding dividend stocks for any investor, check out our free report.